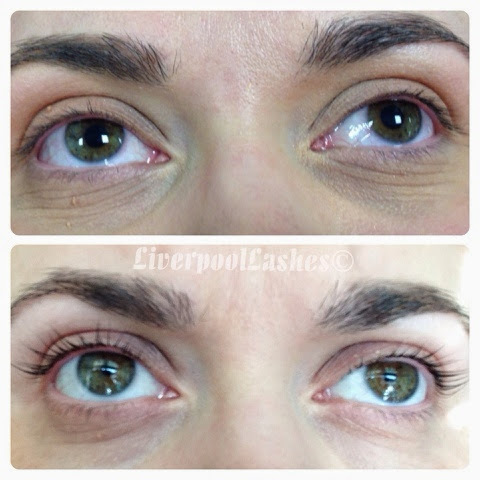 Today was finally my turn at trying LVL Lash Treatment for myself at Creative Academy+ Manchester. I had my patch test months and months ago and put my name down to be a model for the educator. I used to think I didn't have any lashes. My mum's are fairly short/pathetic so I figured I'd just drawn the short straw with them. I'm actually laughing telling you this but a while ago, I took a photo of my face with my eyes shut to see if my eyelids were wrinkly (yes, really!) and discovered that firstly, yes they are(!) but that my lashes are actually a decent length, just straight. This is why when I look head on, they never look like much. Anyway, I popped up to Leigh this morning a little over excited, the truth be known. The treatment was dual purpose really, I wanted to see what it was like for myself and also, whether it's worth me investing in training for it myself at some stage. I honestly think trying a service out yourself is the only true way of gauging if it's worth taking your business in that direction. 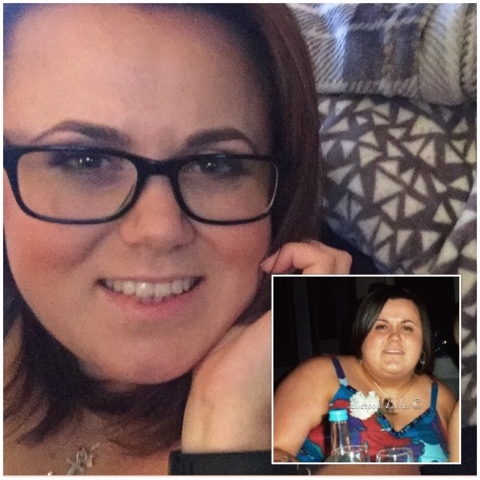 When it comes to eye treatments it does make me a little apprehensive as I've had a couple of bad experiences in the past, however I knew that myself and my eyeballs were in safe hands with Kirsty. Other than fighting the urge to go to sleep, the treatment was comfortable and relaxing. I've just asked on my Facebook page and apparently it generally takes around an hour on average to complete this service. 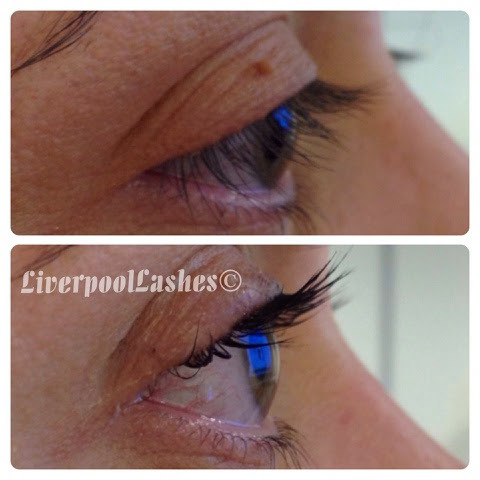 I like the idea of 'working with what you've got' as opposed to lash extensions as there is no risk of anything detaching itself later on. Best of all, results can last around 6 - 8 weeks. It might sound silly but my biggest concern was experiencing stinging when I opened my eyes, especially in front of a class of students...! Thankfully I needn't of worried at all and it was fine when I opened my eyes. I actually didn't want to show you the above photo as I believe I resemble a fish and have no make up on but in the interest of the review, I shall do so anyway! Hopefully you can see the transformation and I'm told that over the next few days my lashes will separate and fan out a little as well. I now have a jazzy little comb to comb through the lashes daily, a conditioning serum is also recommended to use as well. For the next 24 hours I am not to rub my lashes, get them wet or apply any mascara on them. I am actually really excited to apply mascara and see what they look like after this period! I will come back and update this blog post in a few weeks time but my overall thought is that it's a fantastic concept that I think a lot of my clients would love. I actually know quite a lot of people with straight lashes like myself, they don't necessarily want extensions but just to have a curl that lasts so that they frame their eyes properly. I definitely want to go ahead with training for it as and when I have the funding for it (I'm currently converting my garage into a mini salon to do my hairdressing in and it's sucking the life out of my bank account) I hope to sign myself up for it. I believe that this treatment would be an excellent addition to any therapists existing skills and would be an investment that your clients would love! Just a final thought, this review was written by me, Creative Academy+ Manchester didn't suggest it or anything. In fact, it was actually me that asked/begged them if I could be a model so I figured I would share my thoughts since I generally have plenty of them!! Let me know what you think!